Francis Quirk also spent time in Prescott, Arizona.. In the press there are references to him being at his residence on Pine Drive in the Mountain Club in Summer and over Christmas. One can imagine him loading the family in the car and heading west for a bit of weather as they escaped the Pennsylvania winter. He was fairly involved in the community and even wrote articles about it for the area newspaper. Below is the only painting that could be strongly placed in Arizona. New friends at the Mountain Club have provided helpful information. 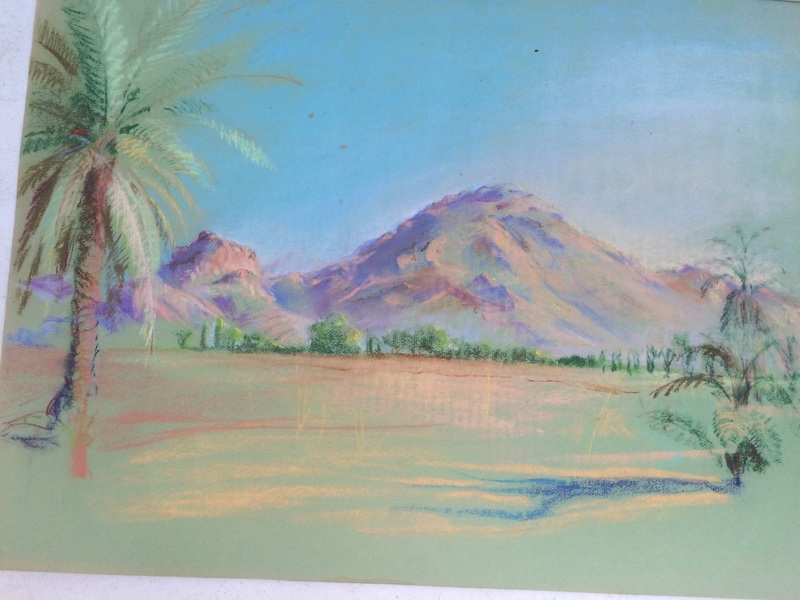 This painting is of Phoenix's Camelback Mountain from the South. 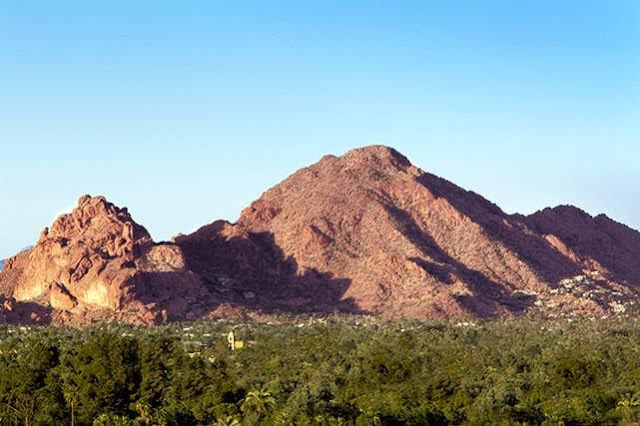 The palm trees could not survive at the altitude of Prescott's Mountain Club. While we are on the Western topic, there was one other work by Quirk that recently was auctioned in Maine. 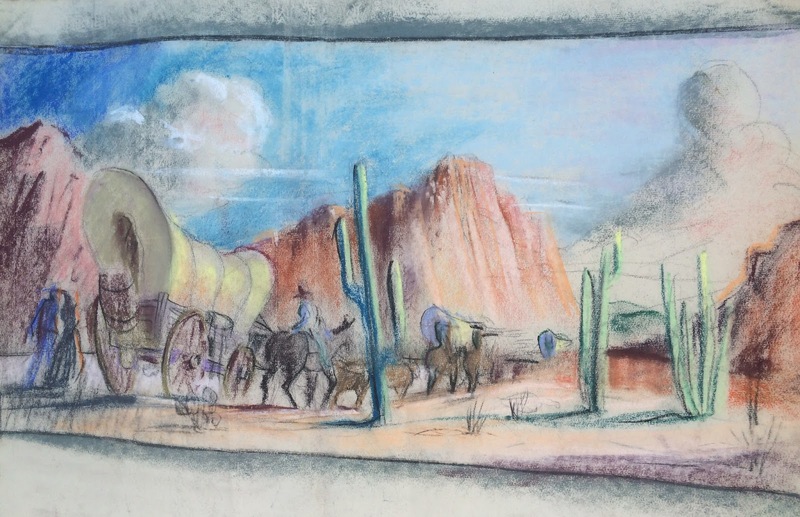 It is a pastel of a wagon train moving through the old west with saguaro cacti and red mountains. It is reminiscent of a work executed for a WPA mural commission. However, we have no record of his being in the employ of that effort.